Home / STORE / Cones / Frolicking Nisse Cone. 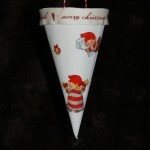 These pulp-board cones are painted white, with a red and white twist ribbon handle which the cone can be hung from. 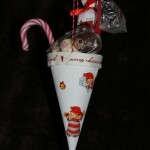 A ribbon decorates the rim of the cone with various Christmas Greetings. 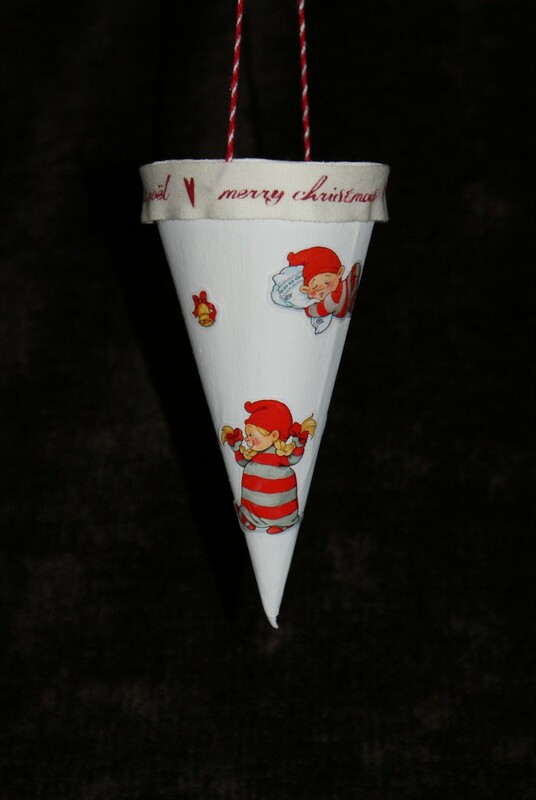 The cone is decorated with Nisse frolicking and having fun. 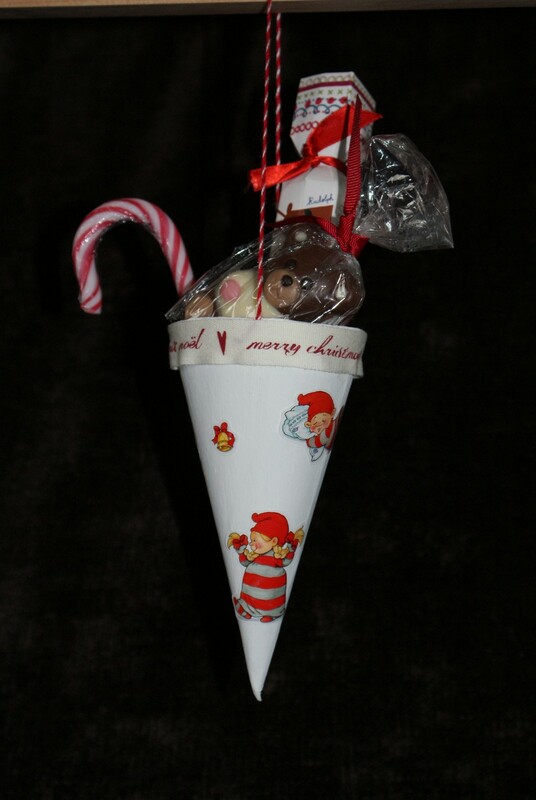 The inside of the cone can be decorated with tissue paper and small gifts can be placed inside. An excellent way to wrap a special gift and a unique way of presentation. Approx 13.5cm high x 7.5cm diam.